Notice the circuit board beneath the ball feeder tray. 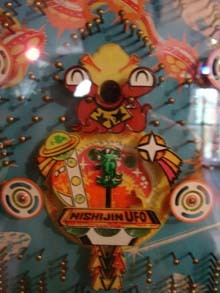 I have never seen this in any other pachinko machine. From what I have seen, the purpose of the circuit board is to control the opening/closing of the UFO and the playfield lights. There are 4 lights, one on each of the drawn UFO's. If you make a ball in the pocket above the UFO it opens and lights the first one on the left as shown above. 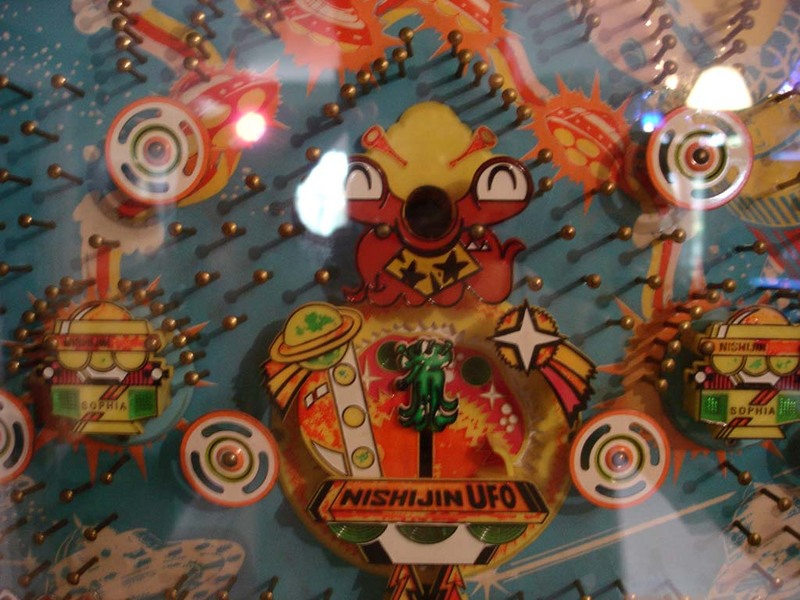 As you send balls through the pockets on either side of the UFO it advances the lights across the top until the 5th time where it lights up the UFO (which blinks) and the right-side pocket. One more pass through these pockets or the top pocket and the UFO closes and the lights go out. 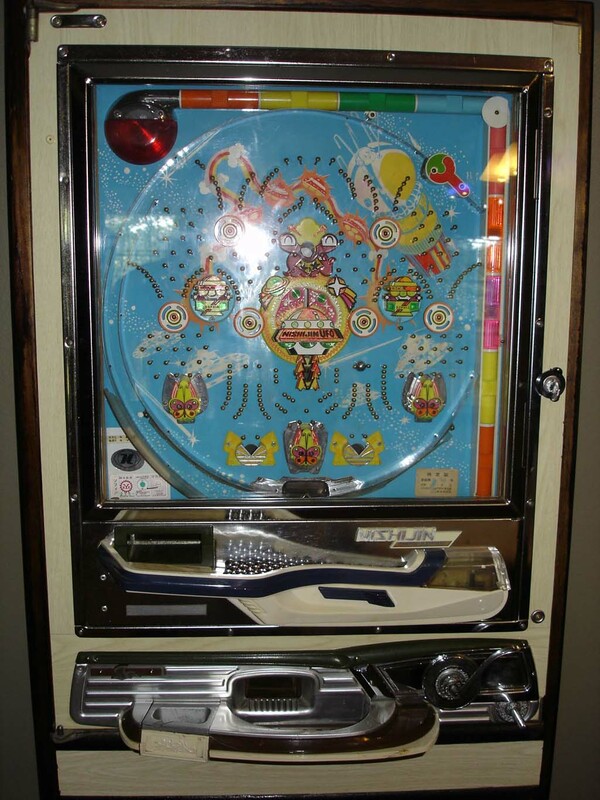 Although this is a cool uniqueness to this machine, just like any other pachinko machine of this era you do not have to have power to play the machine. 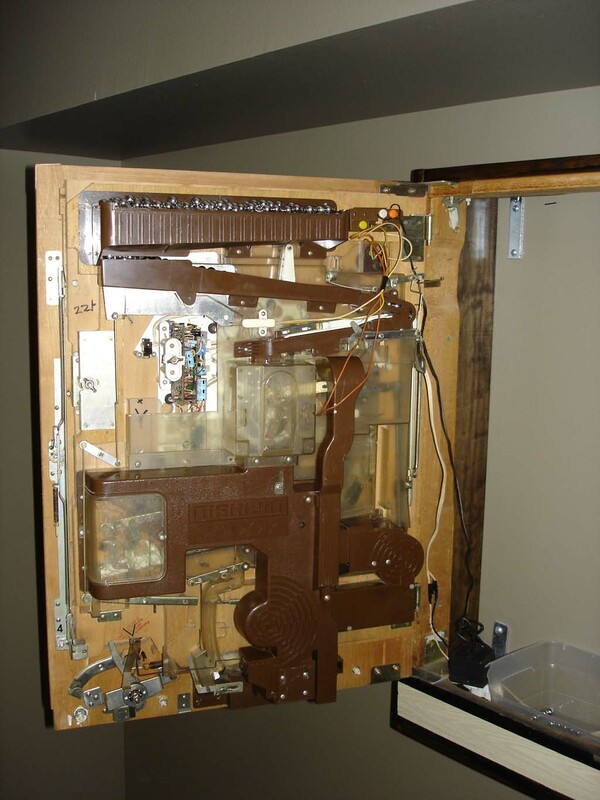 It runs completely on mechanics. 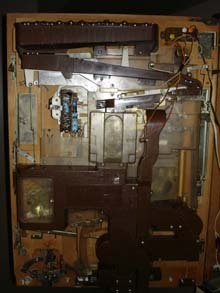 If you have ever seen a machine with this circuit in it please contact me. 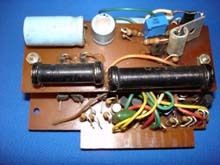 The circuit did not work when I got the machine and I repaired it to the best of my knowledge. I would love to know if I have it working properly. This machine came from a friend of mine who had it when she was a kid. 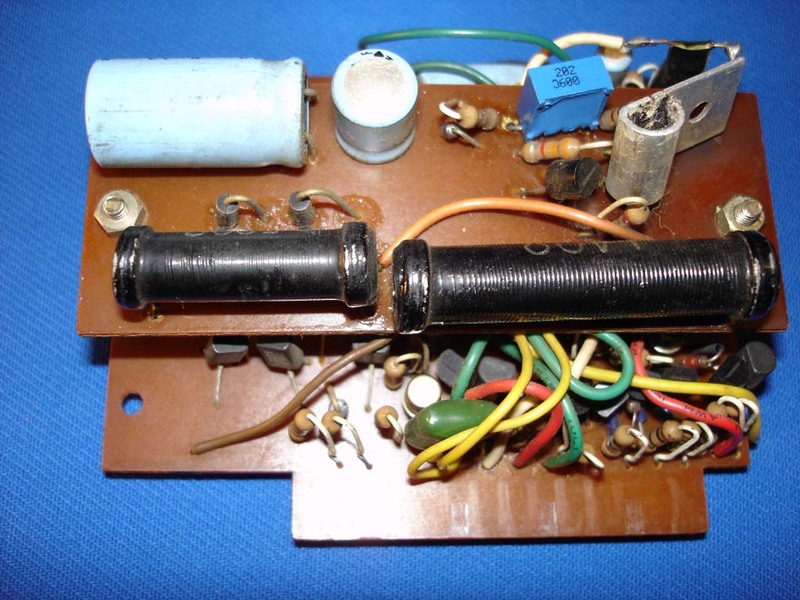 It appears to have been made in 1980. 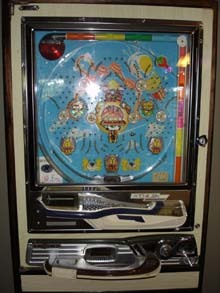 There really are not a lot of websites with information about these older pachinko machines. The best one out there is Dan's page, which I've linked to in the leftside menu.